The Parasene Weed Wand is a unique light weight Device with a convenient size and a well-balanced construction. It is comfortable and easy to handle- being operated from a standing position. The Weed Wand is designed to clear patios, paving blocks and more! Galvanised Incinerator. Toilet Brush Holders. Fire Screen & Guards. Ending Soon. Cast Aluminium. Garden & DIY. Can be used with a wide range of garden waste. Where you will benefit from regular promotions. 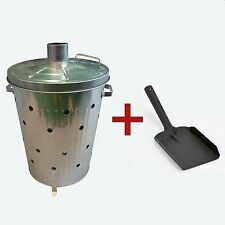 This garden fire bin incinerator will burn all your garden waste. 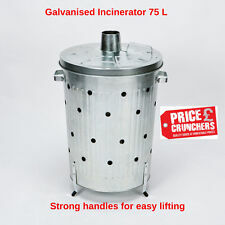 This high quality garden incinerator is made of strong quality galvanised steel constructed incinerator. Bottom and side holes for ventilation for efficient combustion. Galvanised Incinerator. Toilet Brush Holders. Fire Screen & Guards. Cast Aluminium. Garden & DIY. Can be used with a wide range of garden waste. Where you will benefit from regular promotions. We look forwards to seeing you again soon. 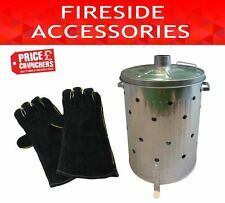 Garden Galvanised Incinerator Bin Waste Fire Burning 90 litre and Free Shovel. Galvanised Incinerator. free Fire shovel. Toilet Brush Holders. Cast Aluminium. Fire Screen & Guards. Ending Soon. Garden & DIY.